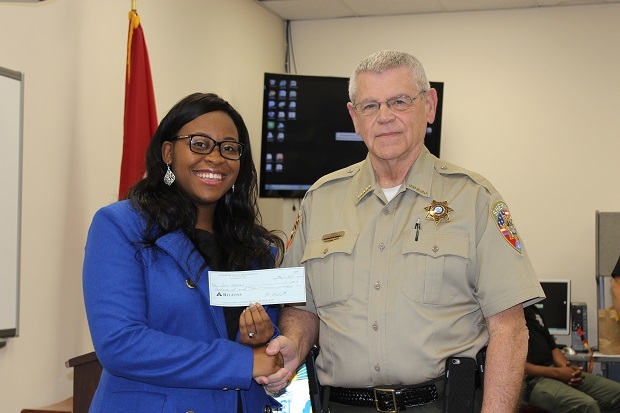 Sheriff Mike Fitzhugh presents a $1,000 SRO scholarship to Stewarts Creek High School senior Asia Johnson. 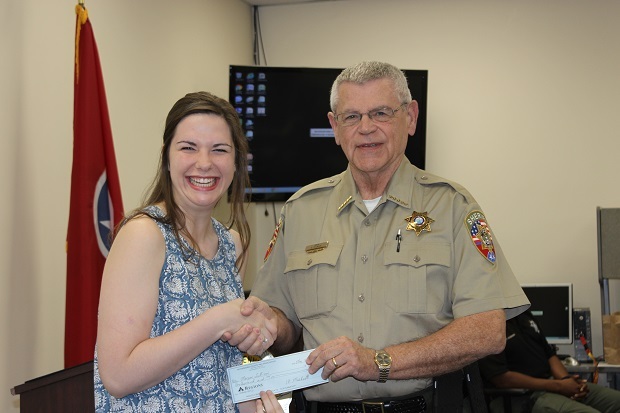 Central Magnet senior Morgan Sullivan receives a $1,000 SRO scholarship from Sheriff Mike Fitzhugh. Sheriff's School Resource Officers awarded $1,000 scholarships to two seniors at Rutherford County Schools. Sheriff Mike Fitzhugh presented the scholarships to Asia Johnson of Stewarts Creek High School and Morgan Sullivan of Central Magnet School during an SRO meeting Wednesday. SRO Jason Urban said the SROs fund the scholarships from their own donations. This is the 15th year SROs awarded scholarships. Seniors seeking the scholarship wrote a 500-word essay on "Ways I Would Improve School Safety." They were also chosen based on the students' grade point average, ACT score and letters of recommendation. Asia is involved in the Student Council, Spanish Club, Book Club, Pep Club, Key Club, Prom Committee and Cultural Awareness. She will attend Motlow State Community College. Morgan is a member of the Senior Beta Club, National Honor Society and the National Spanish Honor Society. 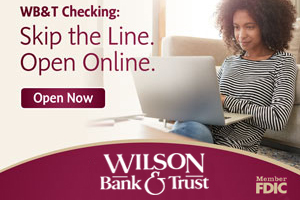 She is an algebra tutor. 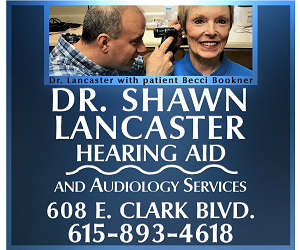 She volunteers for Special Kids, serves as Delta Beta Sigma chaplain and participates in Youth Leadership Rutherford. She will attend Samford University.